This week I'm back to discussing certain things I've been playing instead of focusing on a single large topic like last week. I'll dive into two topics that have been on my mind as of late: Kingdom Hearts 3 and Yoshi's Woolly World. As of last night, I've completely played through all of the content in Kingdom Hearts HD 2.8 Final Chapter Prologue. I ended up saving the newest piece of content -- Kingdom Hearts 0.2 Birth By Sleep ~A Fragmentary Passage~ -- for last, and it turned out to be a wise choice as it's the direct piece of the collection that literally leads into the beginning of Kingdom Hearts 3. For those not in the know -- KH 0.2 was originally intended to be built into Kingdom Hearts 3 as its prologue, but director Tetsuya Nomura decided it got in the way of the game's pacing, so it was moved to the KH 2.8 collection both to expand the content there and to serve as a playable teaser for KH3 while fans continue to wait for its release. I still plan on writing a review for the whole collection, so expect that sometime in the near future for direct thoughts on all three pieces of content within. I will say right now that KH 0.2 leaves off at a very satisfactory place and will leave you desperately wanting KH3 more than ever. There isn't a big cliffhanger, per se, but what they do address near the end serves as an interesting precursor for what's to come. KH 2.8 bridges a lot of content between Kingdom Hearts 2 and the eventual third title, and some of the revelations in 2.8 are big enough to make you wonder why they revealed those story beats during in-between content instead of the mainline numbered games. Both Kingdom Hearts: Dream Drop Distance and 0.2 are more like The Empire Strikes Back in this trilogy than even KH2 is (which, I guess makes KH2 more like Shadows of the Empire?). It also ties all of the threads from previous games together in a neat way, not leaving anything hanging. All I can say is that if Kingdom Hearts 3 can put a nice bow on all of the threads Nomura has been weaving so far, it's going to be one heck of a final game for Xehanort's story arc. Go play KH 2.8. Seriously. Can a game's visuals actually be as important as the gameplay? You've likely heard it said before that when it comes to games, the most important thing that matters is gameplay. The visuals can be superb, but if the gameplay doesn't stand up then nothing else matters. I certainly believe that's true for many games. But... what if those roles were reversed? What if great gameplay was paired with subpar visuals? Would the game still be compelling enough to play? And to be fair, I'm not talking about a case like Shovel Knight, whose 8-bit-inspired visuals may not be as impressive as another's, like Dragon's Crown. Those 8-bit graphics still have charm and a place for gamers who appreciate those aesthetics. I'm talking poorly designed visuals. Abysmal-looking stuff. Amateur hour. Like, the developer tried to make something look good, but... it doesn't. And when I really think about it -- and that example specifically -- no, I don't think gameplay is the be-all end-all for games. Certainly it's the most important aspect, don't get me wrong there. But if other areas of the game are lacking, I'm not going to pretend that great gameplay makes up for everything, and that includes subpar visuals. 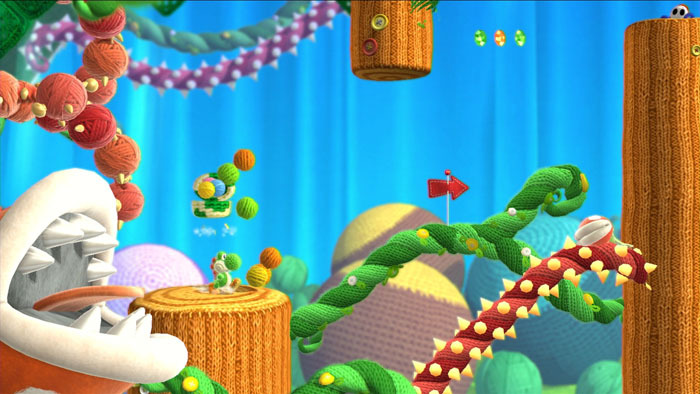 Case in point: Yoshi's Woolly World may be one of the first games that keeps me playing because of its brilliant visual style. That's not to say it isn't impressive mechanically -- it's essentially a reskin of Yoshi's Island's mechanics -- but the yarn aesthetic really makes the whole experience. Without it, I may as well be playing a standard Yoshi game, in which case things would be a whole lot less interesting. It's difficult to quantify exactly what it is that makes the yarn visuals so compelling -- perhaps it's because it's so different from the norm, or that we associate the sewing material with warmth and being comfortable. Maybe it's even because it reminds us of childhood where -- for many -- life was easier. Really though, Yoshi's Woolly World is charming as heck, and I can't wait to get back into it. It's one of few games where its visuals directly tie into its gameplay, and both aspects are better for it. If you haven't played it yet, I definitely recommend it; I'll have a more detailed breakdown of the experience in a review soon. So what about you? 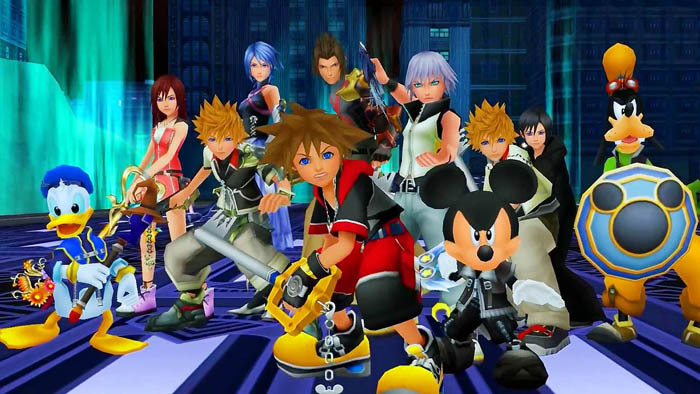 Have you played Kingdom Hearts 2.8 yet, and are you counting the days until Kingdom Hearts 3 comes out? And what are your thoughts on visuals in games? Do they need to be at a certain level in order for you to be interested in the game, or if a game has great gameplay, will you play it regardless?